What It's About: Renfield, a young attorney from London, arrives at a small Carpathian village. His fellow travelers are staying in the village overnight but he insists on continuing on to the castle of a local nobleman, Count Dracula. Several boxes from the ship are delivered to Carfax Abbey. Meanwhile, Count Dracula pays a visit to the Seward home, and Van Helsing quickly realizes that Dracula himself is the vampire they seek. A battle of wits ensues, with Van Helsing battling Count Dracula for Mina's very soul. 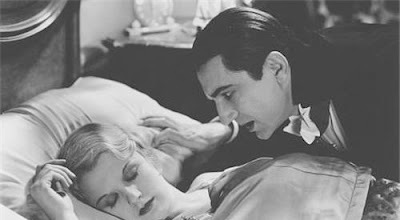 Comments: Every time I see Tod Browning's Dracula, I try my best to get into the mindset of the moviegoer of 1931. Most of the time I just can't do it. To my modern eyes the acting seems too stiff and hammy, the camera work too stagebound, the pacing too glacial, the vampire tropes too shopworn. And yet....there are moments in Dracula that dazzle even the most jaded viewer. The early scenes in the village, where the fearful, superstitious folk live in perpetual terror of the sinister Count; the cavernous, moonlit ruins of Castle Dracula's main hall; Lugosi's creepy over-pronunciation, which seems to mock the very language his victims use; Dr. Van Helsing's calm insistence on supernatural causes in a country where only rational explanations are valued. And for movie audiences of 1931, it was normal to have anything horrific or supernatural on-screen explained away in the final reel as a conjurer's trick, or an illusion, or a bad dream. Liz Kingsley, in her brillant analysis of Dracula, cites this "explained away" convention of horror films as one of the elements that made Dracula stand out at the time of its release,one that helped to make it the towering success it was. Even today, nearly eight decades after its release, this is still the definitive film version of Bram Stoker's novel. In fact, every horror film that came after owed something to Dracula. Carl Laemmle had expressed some trepidation about making such tasteless entertainment, but its financial success couldn't be argued with. 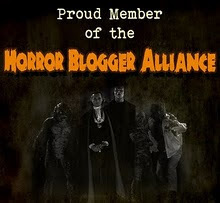 Soon cheap and profitable horror franchises would be a staple of Universal's output. 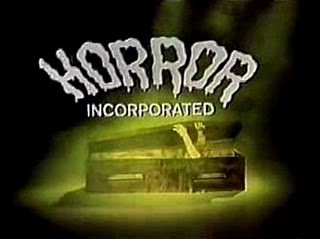 Horror, Incorporated would lean heavily on these Universal flicks at the beginning, so we'll be seeing lots more in the coming weeks.